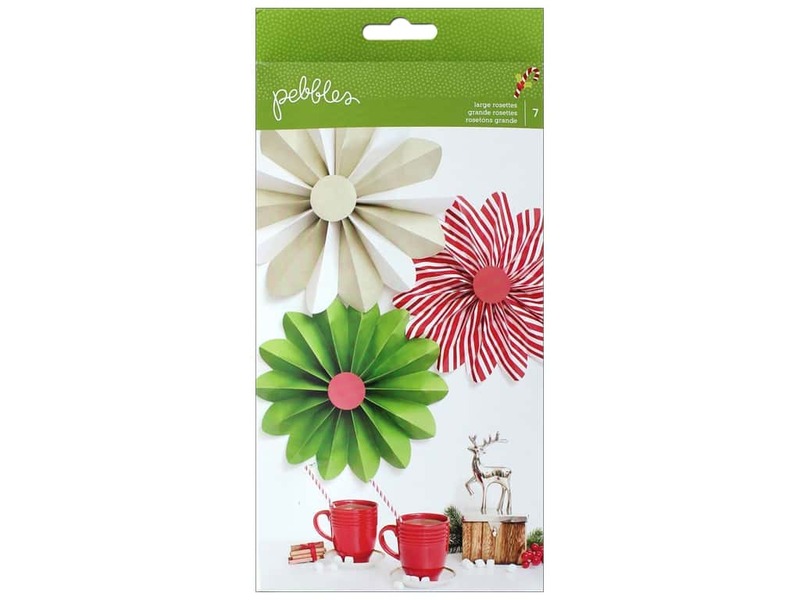 Description: Pebbles Collection Holly Jolly Rosettes- 7 folded paper rosette decorations. Largest is about 18". Colors are white, green, and red & white stripe.